The U.S. Army TACOM Lifecycle Management Command awarded General Dynamics Land Systems a $358 million Foreign Military Sales (FMS) contract to refurbish and upgrade 150 M1A1 Abrams Main Battle Tanks to the M1A1 SA (situational awareness) configuration for sale to the Kingdom of Morocco. Highly mobile, designed for modern armored ground warfare, the M1 Abrans is well armed and heavily armored. Notable features include the use of a powerful multi-fuel turbine engine, the adoption of sophisticated composite armor, and separate ammunition storage in a blow-out compartment for crew safety. Weighing nearly 68 short tons (almost 62 metric tons), it is one of the heaviest main battle tanks in service. Egyptian Army: 1,005 M1A1 tanks co-produced by the U.S. and Egypt for the Egyptian army. Another 200 tanks have been ordered. Iraqi Army: 140 M1A1Ms (without depleted uranium layers in armor). Iraq was leasing 22 U.S. Army M1A1s for training in 2008. The first 11 tanks were delivered to the Iraqi Army in August 2010. All were delivered by August 2011. In October 2012, it was reported that six more tanks were being delivered. Saudi Arabian Army: 373 Abrams tanks, to be upgraded to M1A2S configuration in Saudi Arabia. 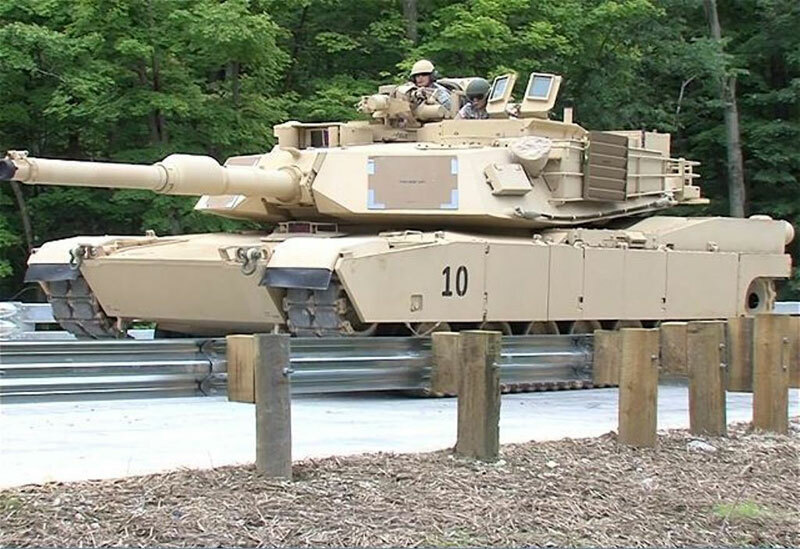 69 more M1A2S tanks ordered on 8 January 2013, to be delivered by 31 July 2014.